A shorter length that falls around the base of the neck for men and at the collarbone for women. This length will fall right at the collarbone for men and a few inches below the collarbone for women. Extra long and falls at or just below the bust for women and below the sternum for men. Wrap a piece of string or strip of paper around your wrist. Cut or mark the string or paper where it meets the starting point. Measure the flattened string or paper against a ruler. 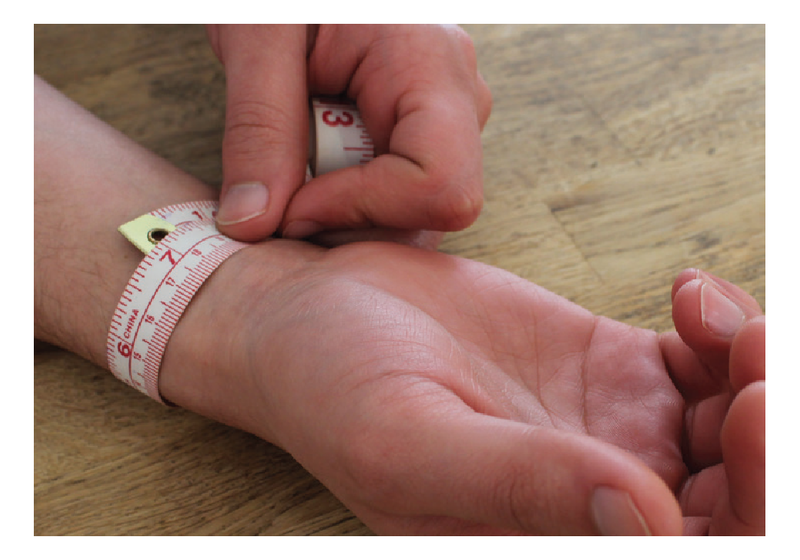 Add half an inch to your wrist measurement to find your bracelet size. For example, if your wrist measures 7 inches, add half an inch for a final bracelet size of 7.5 inches. Place the end of your tape measure on the center of your wrist. Wrap it snugly around your wrist and note the measurement where it meets.